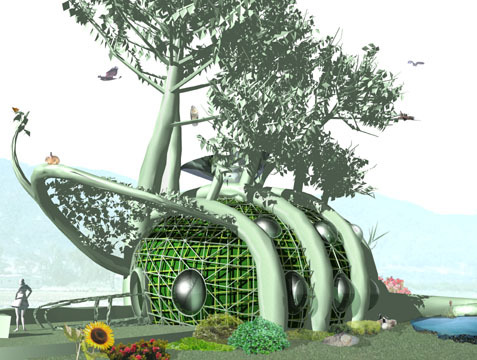 A crew of architects/designers[/ninjas] from MIT have developed what they are calling â€˜Fab Tree Habâ€™, a house that would grow from seed to sappling to green ninja abode [and in only 25 years!]. 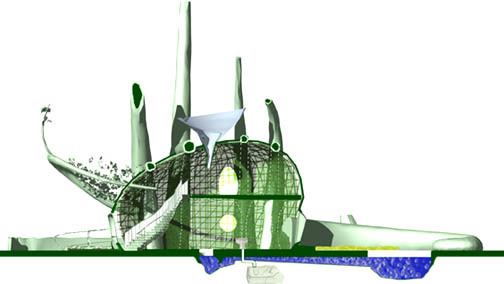 The design is intended to replace Habitat for Humanity, where houses for those in need could be grown on a regular basis, creating completely green/sustainable communities. While I wouldnâ€™t hold my breath waiting for one of these bad boys, much respect for the design team for coming up with a truly green housing solution. Humans are a part of nature; its only right that our architecture should be too. More info at archinode, inhabitat and vision. A “truly green housing solution.” Seriously? This is a cool idea, but with respect to implementation, it’s a bit of a joke, to be fair.